From the early 1600’s through mid-1700, the English and other Europeans immigrated to the eastern shores of North America. You knew that. In that 150 years worldwide shipping developed as European nations jostled for dominion over everything they could get their white paws on. One of the fall-outs of all this empire-stealing/building was this; the Dutch were too small to manufacture much and they didn’t have enough population to amass an army, so how could they complete with the Big Boys? What Holland was rich in was: seafaring culture and skills, amazing harbors, and a live-and-let-live attitude towards religion. Their immigrant-welcoming attitude meant harassed but skilled workers from around Europe flocked to Holland to work. What a novel idea. Remember the Seven Years War of 1754-1763? Of course you don’t. You have a life and it’s less than a month to Christmas. In brief, the outcome of that war was that England defeated France here on North American soil. This sounded great to American colonists. No more French and French-friendly Indians vs English and English-friendly Indians jockeying for the resources that the colonists wanted for themselves. Except England was now massively in debt from years of war. The Brits had been ignoring a great deal of the day-to-day life of colonists for the past century and a half, now all of a sudden they needed taxes and duties and tariffs from those rascally colonists. England put the colonies on notice to trade only with England. No more buying cheaper stuff from anyone else. Importing to and exporting from the colonies after 1763 became more expensive, unreliable, and aggravating. Any manufacturer can tell you how they get their raw materials and how they ship their completed goods - because that’s central information to a well-run business. Now tell that manufacturer that as of next week all their products have to come from one nation, on that one nation’s transportation systems, and they can only ship their stuff out via that one nation’s export system. At first the business people are going to be frustrated and furious at new regulations that get in the way of doing things efficiently. After a while, this argument will break two ways. 1. Smuggling. Not pirates with striped t-shirts and eye patches – but professional shippers who can get your supplies in and out in a timely way for a reasonable cost. They may load or unload a half mile out just past a secret sandbar in the middle of the night, but they will get the job done. 2. The language of what’s going on will change. 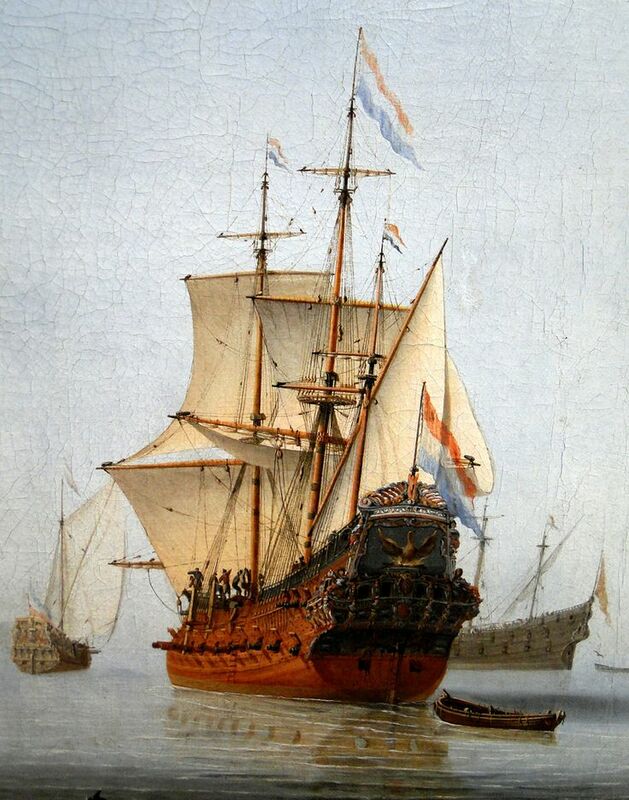 At first people will argue that they want to go back to well-established systems of trade with a multitude of nations – especially those Dutch. Time grinds on; the business guys buy some legitimate products and some smuggled items. They watch folks getting ahead who are collaborating with the English muck-a-mucks in charge - and that irritates them. They also watch some of the efficient smugglers get caught and then severely punished. What started as aggravation becomes anger at infringement of rights. Language follows experience. When new and unaccustomed rules and regulations favor already powerful and self-serving families – it will get dicey. When ordinary smart and hard-working citizens watch the already-rich stack the system against ordinary people – it might take some years – but change will happen. Waiting to see how the House and Senate Tax Bill shakes out. When did Dutch people start making chocolate? Why them? Were the Dutch ever in a place that grew cocoa, or did they trade cocoa and then learn to make chocolate? Did the Dutch move a lot of sugar that was grown by the Spanish or the French? From Wikipedia: "The new craze for chocolate brought with it a thriving slave market, as between the early 17th and late 19th centuries the laborious and slow processing of the cacao bean was manual. Cacao plantations spread, as the English, Dutch, and French colonized and planted. With the depletion of Mesoamerican workers, largely to disease, cacao production was often the work of poor wage laborers and African slaves. " So yeah, those Dutch. Also, Around 1820 a Dutch guy at Groenigan figured out how to squeeze the fat out of cacao, so it was easier to grind into powder.